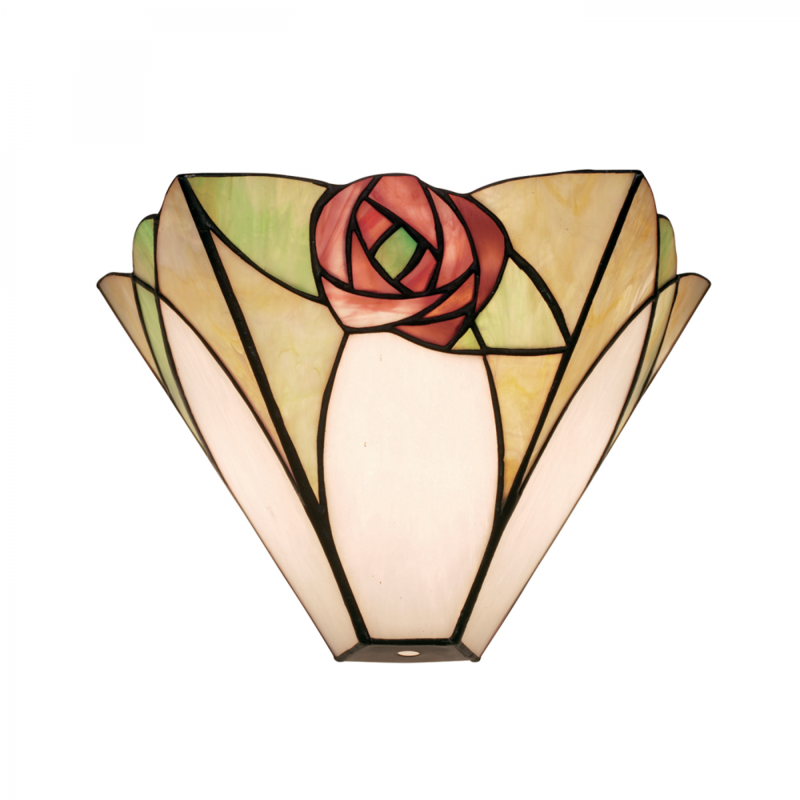 The Happy Homewares wall light features the famous Mackintosh style Art Deco rose. Made from Tiffany style glass with a bronze effect trim. Dimmable and suitable for use with LED lamps. 12cm projection x 20cm height x 30cm width.